All Brite Painting Contractorsonly uses quality and brand name paints and stains from trusted manufacturers around the world. We apply products with airless sprayers, brushes and rollers as we are properly trained and experienced in Deerfield Beach exterior painting. We can provide painting services that will make your exterior stand out. When your exterior goes through changes; it is time that your protected it with our paints. Aging and weathering can turn your exterior into something that you're ashamed to look at. Protect it by calling us! Think of all that the home's exterior has to go through in the course of one year. In the course of one year; your exterior will have gone through a lot. Storms, winter weather and ice and hail storm can damage the exterior to the point where you're replacing everything. There's a reason that the paint is peeling or cracking off of your home. It could be the fact that it's old and has not been modified in quite some time. When you start to experience exterior aging; it is time to call in the experts at All Brite Painting Contractors. At All Brite Painting Contractors, we don't make promises that we cannot keep. Instead- we only offer things that we can and what we can do for you is paint the exterior to your liking. Our Deerfield Beach exterior painting experts will reward you with superior painting. Our Deerfield Beach painting contractors work from top to bottom in order to get the job done correctly. We start by prepping the area and finishing with a cleanup that you'll appreciate. We make the painting process easier on you and the family. The outside of your home deserves to look just as good as the interior. Call to get your free estimate as you'll find our services affordable and our painters punctual. You'll never have to settle for a dull, deadening look of your walls ever again. 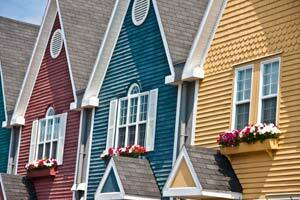 If you are having a hard time finding the right colors for the exterior of your home; come to us for help. We will get you the right fit and make your home appealing to all others on your block. Deerfield Beach exterior painting service from All Brite Painting Contractors helps to provide a new look for your home almost instantly. Our quality paints don't tend to pick up airborne dirt and impurities that cheaper ones do. Let our painters come to you for a renewed look for the home. If you are looking for an exterior painting professional then please call 954-707-6348 or complete our online request form. Thank you for the wonderful job that All Brite crew provided me on my house. The staff was courteous and respectful every step of the way. All Brite Painting Contractors, Inc.